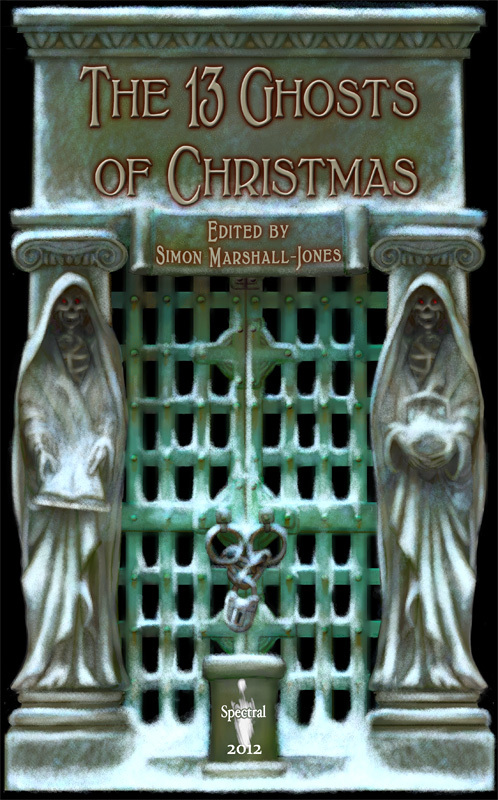 On this cold but sunny Monday morning, let us brighten the start to your week by showing you the stunning artwork that will be gracing the cover to the very first Spectral Christmas Ghost Story Annual, created specifically for it by Vincent Shaw-Morton. Let’s say right here and now that Vincent has captured the exact vibe we were looking for with this thoroughly evocative piece. HARDBACK EDITION: Limited, numbered edition, with an introduction on the ghost story by Johnny Mains, then a preface by Simon Marshall-Jones followed by the thirteen stories, each of which will feature a brief introduction before them. Cover image will feature artwork by Vincent Shaw-Morton, with gold-foil stamping on the title on cover and spine. There will also be coloured endpapers and a silk ribbon bookmarker to set things off nicely. As an exclusive bonus, the hardback will include a preview of Stephen Volk’s Spectral Visions novella Whitstable, due to be published in May 2013. Edition size 100 numbered copies only! You can now pre-order this volume – but hurry, as nearly half of the print run have been already claimed or reserved. Secure your copy today! No worries – will let you know!